New Games This Week: Call of Duty: Infinite Warfare, Mario Party Star Rush, and More | Nerd Much? We’re in the dead center of the major holiday video game release calendar, having just seen Titanfall 2, Civilization 6, Battlefield 1, and Gears of War 4 release in the past month. It’s undeniable that there is no shortage of great new games to play, and despite us drowning in the number of games to play right now, more new releases keep stacking onto the pile. Here’s a little tidbit for you: Owlboy has been in development since 2007. Which means by the time it has come out, 9 Call of Duty‘s have released, and three different console generations have come and gone. Crazy. So, what exactly is Owlboy? It’s a 2D platformer from Norwegian developer D-Pad Studio, and it follows a boy named Otus who is an owl-human hybrid. Otus’s village gets attacked by pirates, and Owlboy sets out to save the village from the pirates. According to the developers, the game’s mechanics are heavily inspired by Super Mario 3, and judging from the screenshots we’ve seen so far, it looks fantastic. Plus, that Owlboy soundtrack…ooo…. Root Letter is a visual novel from Kadokawa Games, and after a critically successful launch in Japan earlier this year, the game is making its way to North America. The game will task the player with figuring out what happened to Aya, a girl who mysteriously vanished after receiving a certain letter in the mail. The game has two separate parts, the adventure part that has the player interrogate Aya’s many acquaintances, and the simulation parts, where the player will relive and play through interactions involving Aya. The wildly successful PC acrobatic shooter that released in September will make its way to the Xbox One and PS4 this week. The game is an interesting mix of kung fu and guns, even to the extent of calling its mechanics “Gun Fu”. It’s $13 on Steam, and I can’t imagine it being much more than that on consoles, either. What’s more, it’s highly reviewed on Steam, holding a Very Positive rating from over 175 reviewers. Super Dungeon Bros, which is one of the November Xbox Games With Gold, gives off a strong Castle Crashers vibe, with four colorful knight-esque characters teaming up for some sweet, sweet couch co-op. Basically, think Castle Crashers meets dungeon crawling with platforming elements. It looks like a lot of fun, and it’ll release on Xbox One, PS4, and PC on Tuesday. You can check out another Super Dungeon Bros. trailer in our mega list of the latest game trailers. Not only is Call of Duty: Infinite Warfare one of the most anticipated new games this week, but it’s also the favorite franchise of many gamers out there. 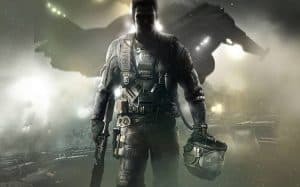 We think Call of Duty has run its course, and we’d love to see a break for a few years before seeing another one, but here we are again. We’re not exactly sure what to think about CoD in space, with its new unabashedly sci-fi marketing tactic. But we’ll certainly be snagging a copy to check it out, as I’m sure many of you will, too. Also, a fun fact for you: the dad from Smart Guy (John Marshall Jones) voices a role in it. Football Manager 2017 is a game that isn’t faring very well right now, as it holds mostly negative reviews on Steam, with most claiming that there aren’t any substantial improvements compared to the last version. 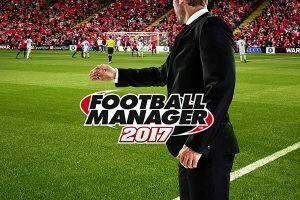 Many of the reviewers are also mentioning frequent crashes, and unrealistic football. What’s more, the devs completely snubbed the Chinese market by not including China. We’re not surprised to see another botched franchise by SEGA, and hopefully, they can get it fixed before too long. For now, all signs are saying that it’s a must skip. Aside from Pokemon Sun and Moon, Mario Party Star Rush might be the biggest Nintendo 3DS release of the holiday season. The new game interestingly removes the turn-based format, speeding up the game significantly, and most reviewers are praising that aspect of the game. The new game contains a lot of smart ideas and fun mini games, and there’s a good variety of modes to play. Mario Party Star Rush looks like more of “Nintendo being Nintendo“, and there’s nothing wrong with that.